In this pilot episode, Jay Kinder and Michael Reese, masterminds behind the National Association of Expert Advisors (NAEA) and thought leaders in the real estate industry, share some of their stories, aspirations, and views on the biggest problems in the industry and how you can avoid them. Known for being 100% transparent and real, they tell about both victories and failures and how it’s vital to learn from both. Learn how meeting Jay changed Michael’s life and the challenges each of them faced on the journey to success. This episode will also reveal you some of the ‘secrets’ to becoming the best you can be, such as investing in relationships and the thought behind the “seek the best to be the best” principle they live and die by. According to Jay, you should never stop learning and the most important question to ask yourself is “Do my results prove I’ve mastered this?” Your success is determined by your ability to learn, predict problems and adapt to change, as being stagnant in our faced-paced world is equal to death. Join them as they analyze the biggest problem in the real estate industry, share their views on “the better way”, help you to understand why expansion model isn’t working anymore, and explain the opportunity you have to prevent going under if the next market downturn strikes! This info is just very cool of you to share thanks! You two are wicked smart, your brains go so fast. Your tell it like it is, approach is just so fresh, the three podcasts so far have so much info I have to listen to them 3 times each. As a side note I think Mike has un-diagnosed ADHD. The broadcast was excellent! These topics need to be discussed and not sugar coated. The truth and common sense (smart) thing to do isn’t easy for everyone to hear. If someone get’s upset about the topic then they’re obviously in denial. The majority of REALTORS are doing it the wrong way….working long hours… miserable. Yes, I know it’s not easy for all people…. I do think that big franchises are training the newbies the incorrect way and making AFAs. I received my license mid October of 2014. I’ve been burned by the big franchises… had a Broker try to steal my clients, YES it happens! There’s no reason to cry over it. I built my company up to prove a point. I was laughed at when I told my Broker that I wanted to sell commercial real estate and that was my 5 year goal. I’ll be doing commercial real estate in my 3rd year to just prove my first Broker wrong. So far I’ve taken 6 months off from workings, building my retirement, support my family, and we donate so much!!! I’m only 29! Now the sky is the limit since I joined NAEA and have the resources. Anyone can run a success real estate business if you’re resilient. Just watched your pilot podcast and I am still impressed at your ability to identify the issues in our industry. You guys bring such value to the conversation and I have become a little more “seasoned” in this industry, your insights ring truer today than a year ago when we met. Great job and great value. I love, love, love listening to you guys! This is something I have been trying to figure out for years. How to develop a salable business! You bring create content and give lots of things for someone to really dig deeper to see where they want there business to go. You always make me laugh. I can tell you two have a great time working together which is so nice to see and hear in this industry. Dudes. Just tuning in and love it. Taking notes at 3am. I’m one of those making some money quickly but how do you have life and impact lives. Been thinking about building s team then you show up. Want to hear more. Thanks for keeping realz. 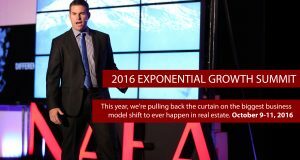 OMG, being a Keller Williams agent and attending Ramp Camp last week, you guys are truly blowing my mind! It’s 12:17 a.m. and I started listening to you about 100 minutes ago, and now I can’t wait to listen to the next 20 podcasts. It was a pleasure meeting both of you and getting a better understanding of what you are trying to do, and probably have something to do with Gary spending 41 million to come up with this new “disruptive” system for KW. This is starting to sound real familiar. I was honestly getting bored with the business after 13 years, but now you guys have got my juices flowing. Thanks for your years of wisdom and vision for the future! Craig from Myrtle Beach, SC.